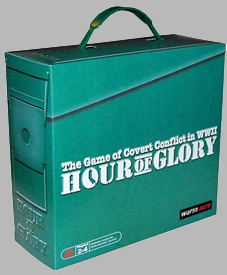 The Hour of Glory Stronghold Kit contains everything you need to wage war in the shadows. 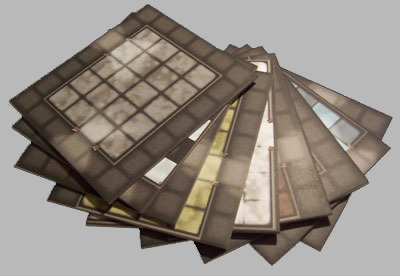 The Stronghold is constructed from 10 durable full-colour card tiles consisting of corridors and rooms. The Intruders have just one hour to complete their mission and make good their escape. 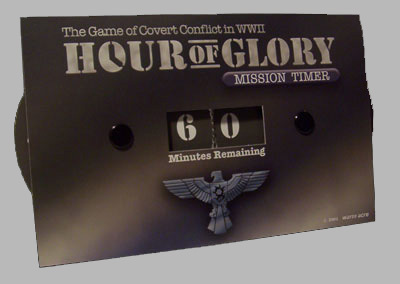 The Mission Timer tracks every nerve-racking minute spent or lost in this endeavour. As the Stronghold Commander becomes more aware that his base is being invaded, the ASI fills with alert markers. When he is ready to initiate a response the Commander raises the alarm, bringing Guards into play to hunt down and eliminate the enemy. 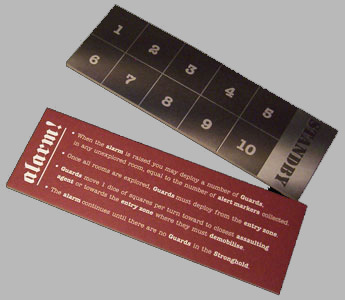 Each SABRE agent is profiled on a double-sided card. One side shows the agent’s capabilities in raiding (hidden) mode the other in assault (exposed) mode. Each intruder is armed with a Sykes-Fairbairn combat knife for silent Sentry elimination and hand-to-hand fighting.Major Harris and Nikolai pack automatic handguns for rapid reaction in tight corners, Captain Link prefers to cause havoc with a Thompson sub-machinegun. 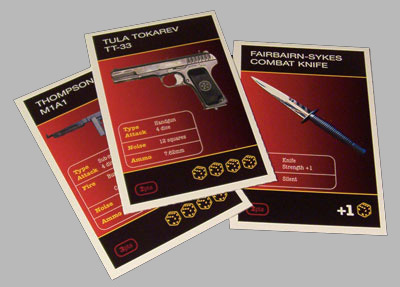 The Intruder’s first mission is to gather intelligence – represented by these cards. 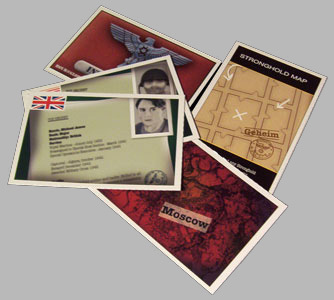 Quality counts over quantity in the spying game – get the right combination of cards and it’s mission accomplished! 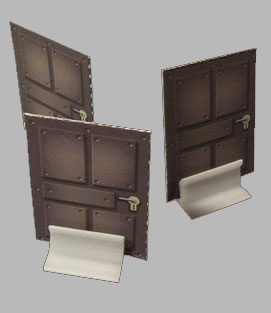 All the Stronghold’s doors are locked against intruders at the start of the mission. (Un)fortunately, there isn’t a lock made that can keep a SABRE agent out indefinitely. 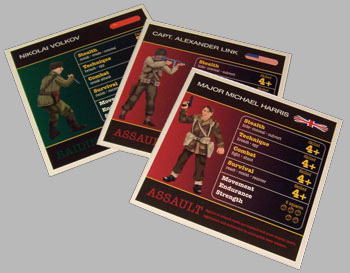 Each SABRE agent is represented by two figures – one in raiding (hidden) mode the other in assault (exposed) mode. 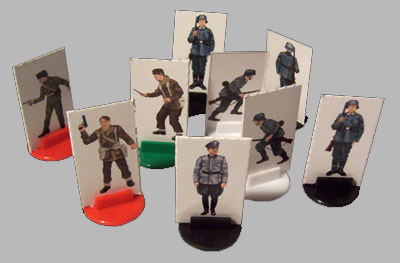 17 Defender card figuresThe Defender’s forces consist of 3 types of agent: Sentries, Guards and the Commander. Each has a role to play in protecting the Stronghold from covert attack. 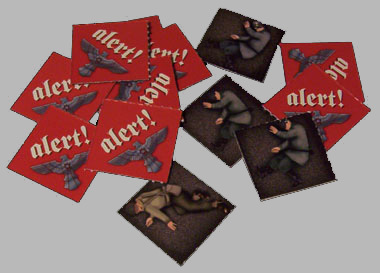 The Commander investigates Intruder activity by collecting alert markers. 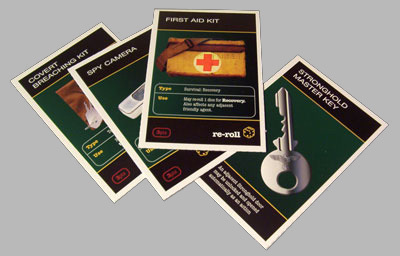 These may be collected from Sentries reporting suspicious activity or, if the Intruders have been sloppy, from the remains of deceased defending agents. 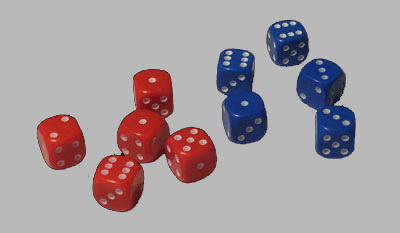 5 red dice and 5 blue dice.